Since I returned to work from having the baby, well over a year ago, my husband graciously and generously would pack my lunch for me as I took the duty of getting the baby to sleep. Baby stopped needing me to fall asleep, so naturally, husband stopped having he burning desire to pack my lunch. Baby also grew into toddler who eats real food and needed a lunch of his own. 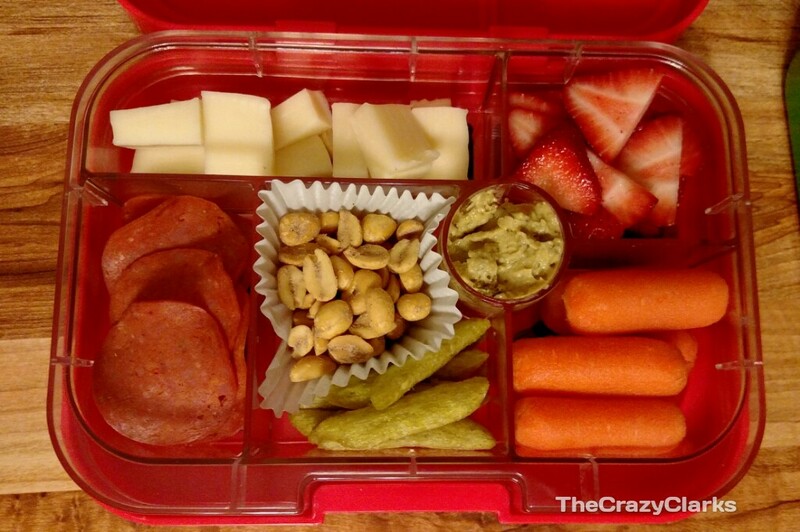 Packing lunches wasn’t something I ever looked forward to, until I discovered the awesome thing called a yumbox. 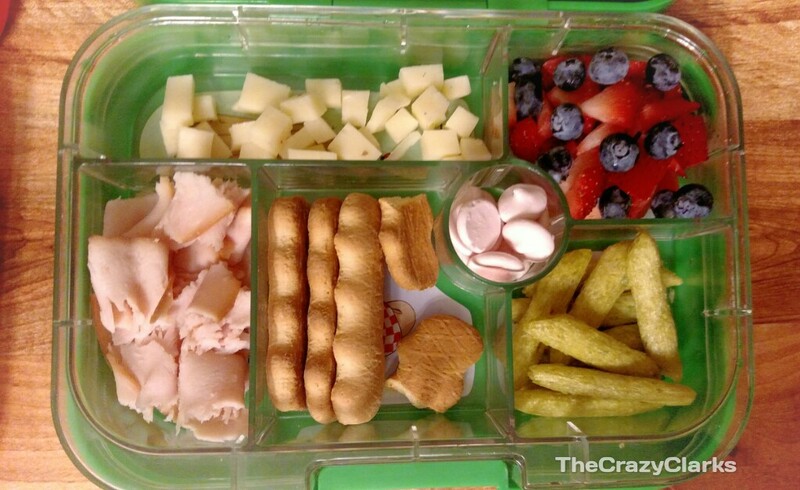 Let me give you a little overview of the yumbox first. There are two parts to a yumbox. The actual box and the tray. The box is durable, has a large latch that closes it and locks the single silicone lid into place. 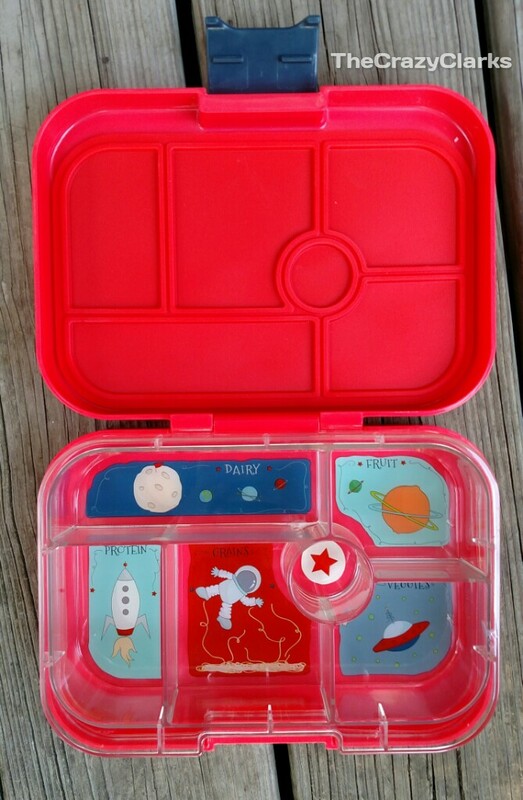 The other part is the compartmentalized tray which features cute educational pictures of the food groups and also serves as a reminder to whoever packs the lunch as to what should be included. They come with two options for trays, 6 compartment and 4 compartment. The two different trays are not interchangeable between the different boxes due to the sealing silicone lids. They offer a variety of fun colors, the outer space one is my favorite! 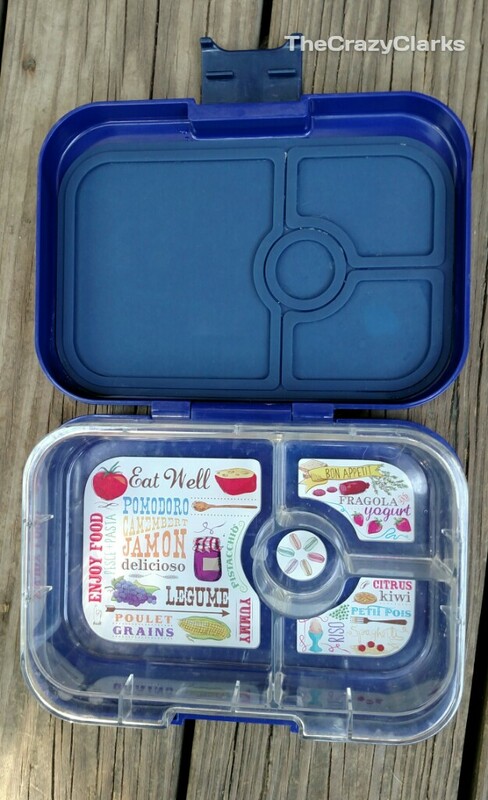 The 4 compartment yumbox has one 2 cup compartment , two 1/2 cup compartment and a one ounce compartment perfect for dips or a little treat. 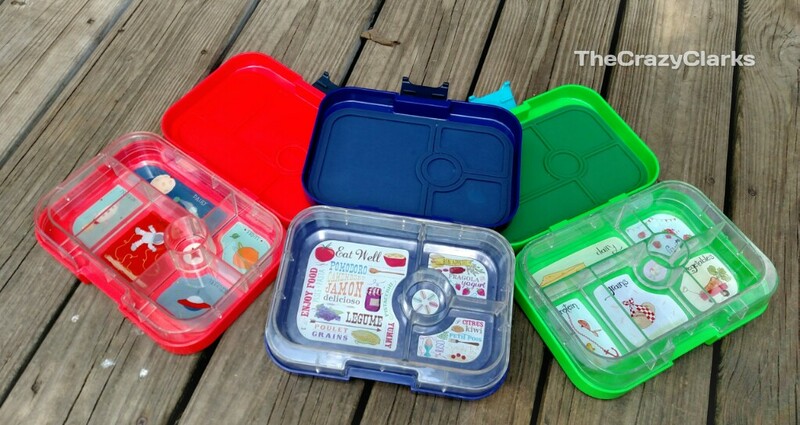 The six compartment yum box has five 1/2 cup sections for the key food groups and one smaller well for dips or treats. 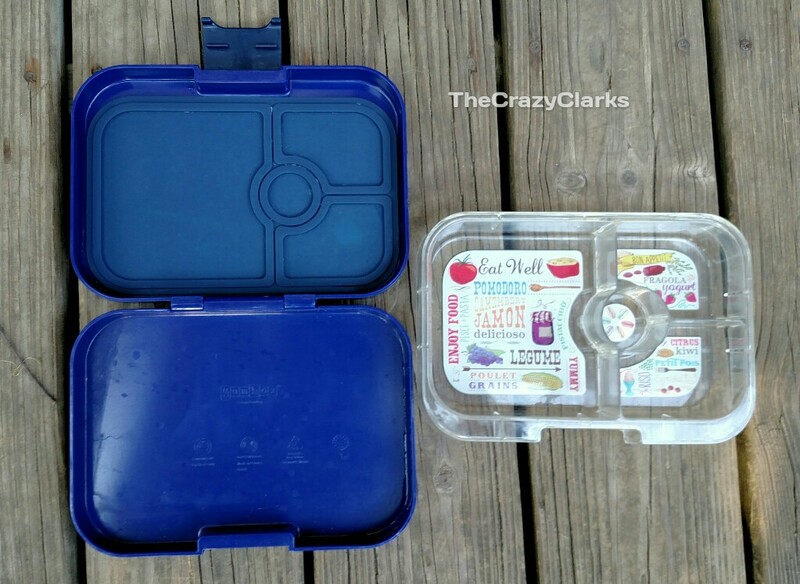 The yumbox is seriously amazing. And no they did not ask me to write a review. The trays pop out of the box for easier cleaning. 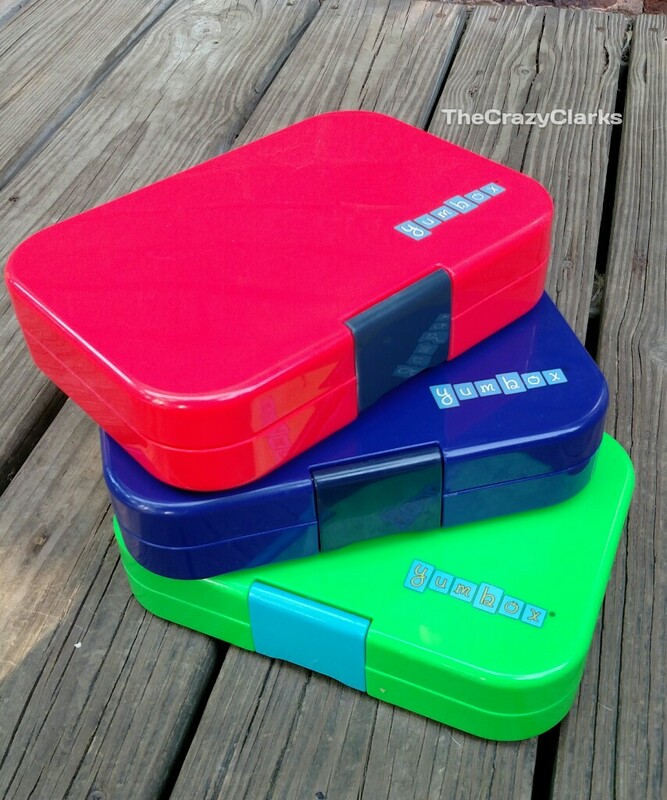 So why do I love these yumboxes so much? 1. I can pack things like yogurt or ranch dressing easily without having to worry about things tipping, spilling or contaminating other food. 2. It takes up less space than a billion containers. 3. Easy to clean. You can even throw it in the top rack of the dishwasher. 4. Totally portable. I can literally toss it into the diaper bag. We took them traveling on the road with us. 5. I have a guide of what to pack and how much of it to pack. 6. They fit into normal sized lunch boxes. 7. My child can see everything that is being offered at a meal. It’s fun to watch him look and decide on his own what to eat first. He also loves moving things between containers. 8. I am not having to buy a ton of sandwich bags. Nor are those sandwich bags winding up in landfills. 9. They really are pretty cute. 10. The design keeps everything in, it’s virtually leak proof, but due to the large latch are easy enough for a young child to open independently. Here’s a look at what my 16 month old and I packed for today. If you pack a lunch. If you have kids. If you have a picky eater. You really should look into these. I wish these were around when I was a kid! Me too! I probably would have ate more of the healthy things my mom packed if they were all in one spot.